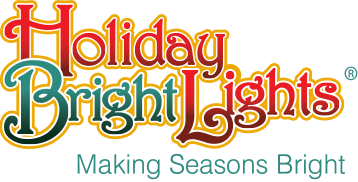 Holiday Bright Lights provides the brightest commercial grade LED C7 and C9 replacement (retro) bulbs on the market. 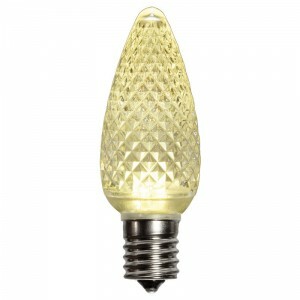 LED C7/C9 bulbs are a popular choice for professional Christmas lighting decorator. 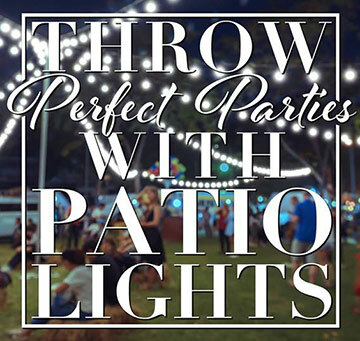 With significantly better illumination than standard C9 LED stringer sets (retail version), your displays and roofline lighting will take your Christmas and Holiday lighting projects to the next level. Holiday Bright Lights is excited on bringing a 30% brighter LED to the C7/C9 market with our 7 diode technology “US patent”, this technology will increase the brightness of the bulb as well as the longevity of the bulb. LED C7/C9 use up to 92% less energy than incandescent C7 and C9 bulbs, give off little or no heat and allow longer runs for projects. 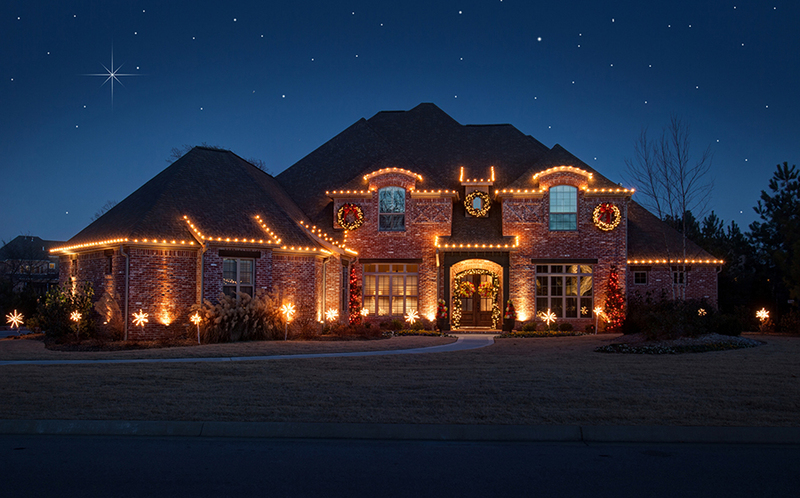 The LED Bulbs are designed to hold up to the demands of professional holiday lighting decorating projects. 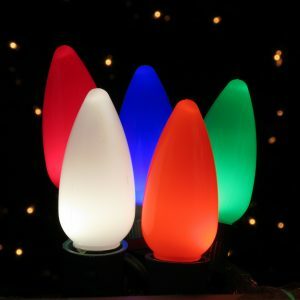 Holiday Bright Lights also provides Incandescent C7 and C9 bulbs, for those projects who want to decorating old fashion. This option is less expensive, but has it’s own down falls with service issues. 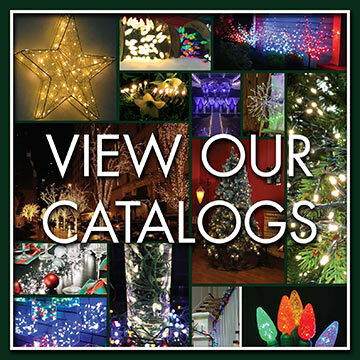 Other notable products: LED G50 Bulbs, LED S14 Patio Lights, LED Light Drops aka Snow drops.